Editor's note: Alex Berezow is the editor of RealClearScience and holds a doctorate in microbiology. (CNN) -- A recent CNN article examining hotel room hygiene revealed some uncomfortable truths. From bacteria and dead skin cells infesting the mattress to improper cleaning practices, it was enough to make anybody think twice about getting too comfortable in a hotel. However, such concerns are often overblown and, in some cases, unhealthy. Part of the problem is that scientists and the media often fail to distinguish "germs" from "bacteria" properly. Bacteria are a lot like snakes: Some are good, most are harmless, and only a few are dangerous. 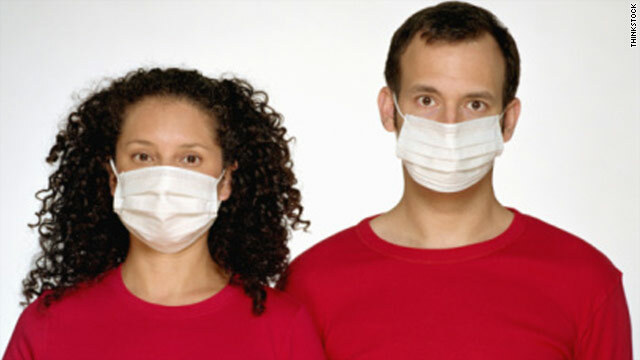 However, this distinction is often not articulated, and as a result, public fear over germs is greatly exaggerated. One may be inclined to think that of all possible fears, "germophobia" -- the technical term being mysophobia -- is certainly the least harmful. It might even be beneficial. Better safe than sorry, right? Unfortunately, this is probably not true. Bacteria are a lot like snakes: Some are good, most are harmless, and only a few are dangerous. For instance, overexposure to antibacterial soaps containing triclosan was associated with allergies and hay fever in children under 18. Other evidence indicates that triclosan builds up in the environment and theoretically poses the risk of generating resistance among bacteria. Additionally, the Food and Drug Administration concluded in 2005 that antimicrobial soaps are no more effective at preventing illness than regular soap and water. It also appears that ultra-clean environments may interfere with proper development of the immune system. This controversial, yet compelling, idea is known as the "hygiene hypothesis." Put simply, the hypothesis states that lack of exposure to bacteria and other infectious agents during childhood may partially be responsible for autoimmune disorders. A growing body of evidence indicates the hypothesis might be correct. The idea is rooted in the epidemiological observation that the rate of autoimmune diseases has been increasing in the industrialized world, but not in the developing world. Presumably, this is because of the wide availability of hygienic products in rich countries, which are not available in poor countries. Hence, people in the developing world are exposed to more infectious agents than are people in the industrialized world. Children who grow up on farms, ... exposed to a greater diversity of infectious agents, are less likely to develop asthma. The hypothesis, which is now well-documented, is further bolstered by a recent study that showed that children who grow up on farms, and are exposed to a greater diversity of infectious agents, are less likely to develop asthma. Also, women are more likely to suffer from allergies and asthma than men, and a recent study speculates this could be blamed on little girls avoiding dirt during playtime. New therapies to treat autoimmune disorders are being developed that incorporate this new knowledge. Parasitic worms, which modulate the immune response, are used in "helminth therapy." Clinical trials have demonstrated that patients suffering from inflammatory bowel disease improved after ingesting pig whipworm eggs. Additionally, mice suffering from a disease similar to multiple sclerosis improved after being infected with flatworms. No microbiologist or medical doctor would recommend dispensing with basic sanitary or hygienic practices. Everyone should continue washing their hands with (preferably) non-antimicrobial soap and using alcohol-based hand sanitizers. But paranoia about microbes, which are in every bite and breath we take, is counterproductive. It is becoming clear that our national obsession with cleanliness is doing more harm than good. Even though cleanliness may be next to godliness, remember not to take it to an extreme. Indeed, being too clean may be bad for your health. The opinions in this commentary are solely those of Alex Berezow.